I'm pleased to welcome Catherine Bybee back to the Romance Dish for her Single by Saturday Blog Tour. A New York Times & USA Today bestselling author, Catherine Bybee was raised in Washington State, but after graduating high school, she moved to Southern California in hopes of becoming a movie star. After growing bored with waiting tables, she returned to school and became a registered nurse, spending most of her career in urban emergency rooms. 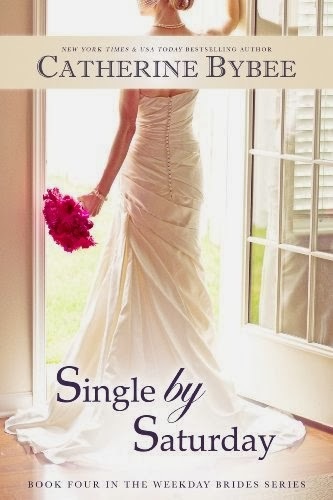 She now writes full-time and has penned novels Wife by Wednesday, Married by Monday, and Not Quite Dating. 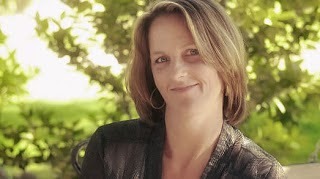 Bybee lives with her husband and two teenage sons in Southern California. Welcome back, Catherine. 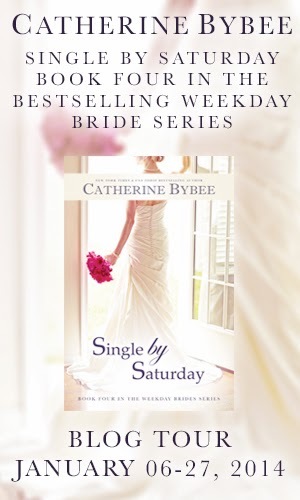 Congratulations on the release of Single by Saturday, the newest addition to your Weekday Brides series. Please tell our readers what they can expect from this book and the series. Someone asked me to summarize this book in as few words as possible... I like telling people about this book like this: You think your life is hard? Try falling in love with your brother-in-law. LOL! That's a good summary! Marriage of convenience is one of my favorite romance tropes but this story comes with a twist. What would you like readers to understand about the main characters of this book? Karen and her husband Michael will never fall in love. It's not possible due to Michael's hidden sexuality. They are both fiercely loyal to each other, however so when Karen starts to fall in love with Michael's brother Zach, things get very sticky. Is this the final story in the series or are there more brides to meet? This is the 4th book in the bride series... I have 7 planned. Taken by Tuesday will be released later in 2014. I don’t make New Year’s resolutions but I do map out goals and wishes at the beginning of each year. What are your wishes for 2014? More balance in my life. I have been a full time writer for a few years and its time I find the right balance between writing and my family. I also want to read more novels. What is a question you’ve never been asked that you’d love to answer? Will you share that answer with us? I'm working on the 4th book in my Not Quite series, Not Quite Forever. Late 2014. Thanks so much, Catherine! Would you like to ask our readers a question today? I would. Dear readers… If you were offered five million dollars to marry a Hollywood movie star, for a year with no ability to fall in love with said movie star, would you do it? Great question! Okay, readers, let's hear from you. Would you do it or not? The petite blonde married a Hollywood star, yet she’s the one who spends every day playing a part: The part of a happy wife. A year ago, she agreed to wed a famous actor to diffuse rumors about his personal life. Now, her divorce sits just around the corner, along with a five million dollar payout. However, as she prepares to exit her fake marriage gracefully, her drop-dead-gorgeous brother-in-law walks through the door… and into her heart. Dark-haired, blue-eyed hunk, Zach, crashes Michael and Karen’s fancy one-year anniversary party, determined to meet the wife his brother hid from their family. But sparks fly the moment he and Karen see each other. When the famous couple decides to visit the whole Gardner clan, Karen must keep Michael’s secret under wraps in front of his questioning relative… including Zach, the man who could be the real love of her life. 5 million dollars is a lot of money, but no, I wouldn't do it. My principle is one that I have to have love to marry someone. I love romance books because they take you to so many localels and I ge4t swept away and am the heroine of the romance novel. Yes - in my youth I believe I would have. Early 20's, single sure why not - money could be used to get established and then worry about kids and finding that forever person. I'm married, so not now. But if I weren't involved with someone, heck yes! If I were unmarried and the person wasn't a complete jerk...you bet! If it was a marriage of convieniance/stricktly platonic I might be tempted to marry. It is a horrible thing to do for money but it would make things possible for my mom. Her health isn't as good as we would like it & the waitinglists are endless. I could get her better medication, care & make her more comfortable. That is a dream & though I would like to scream that money doesn't matter. If it can buy your mom a better life it's a hard choice to make... Not sure if I could justify this later to myself but I might walk down that ailse. romance is wonderful since it allows you to dream, enjoy the adventure and visit another place, era and realm. I don't know if I could marry for money, without their being love.. but it this is fantasy then oh yes I could.. If I wasn't married, I would. If I was single and able to enter into such an adventure and knowing that it was completely safe, I would certainly give it a try. Yes, lol. As long as there was nothing horrible about him (mentally). If I was younger a year would seem like a long time but not any more lol. And I think of all the possibilities that money could do. I'd like to donate to animal shelters and travel lol. It would depend on the details. I'd have to have a number of questions answered before making a decision. 5 million is a lot of money so if it was just a year, I believe I would do it. That is if it was a safe adventure. Entered under the name of Virginia. I love romance because it takes me away from the real world for a while. Eh, eh... I might do it :) but as long as I could stay out of the spotlight! Thanks for sharing! Looks like 5 million is a magic number. If I wasn't married; I might; depends who the star was. LOL. I like romance because of the heas. Lots of interesting responses today. It's an intriguing question. I may have given it a second thought in my single, early twenties. Thanks to everyone who stopped by today. Catherine, best of luck with the new book! Marriage in name but not in fact would be acceptable. Just think of all the good one could do with 5 million dollars when the year is up. I like the sound of SINGLE BY SATURDAY. Interesting story line. I look forward to reading it. First question, re $5 million to pretend marry someone? Nope. I grew up learning that marriage is a sacrament. As an adult, married for 30+ years, I know that to be true. As to the other question, what do I love about romance novels? The characters, escapism, and HEA top my list. But there's so much to love! I enjoy learning about new places and things and I appreciate the depth of creativity authors show in developing their plots, locales and characters. Thanks for visiting. I wouldn't ... just because of the paparazzi... I hate having my photo taken!!! I love the feeling of optimism that I get when reading romances. haven't read your books but love finding new authors. I love the HEA!! What do I like about romance novels? I like watching the dynamics of a relationship as it grows and matures. Each relationship has its own characteristics, trials, and rewards. We can't experience all these types of relationships ourselves. With romance novels, we can experience these different relationships, times, and places through the characters. When we have a good author, the journey is well worth it.